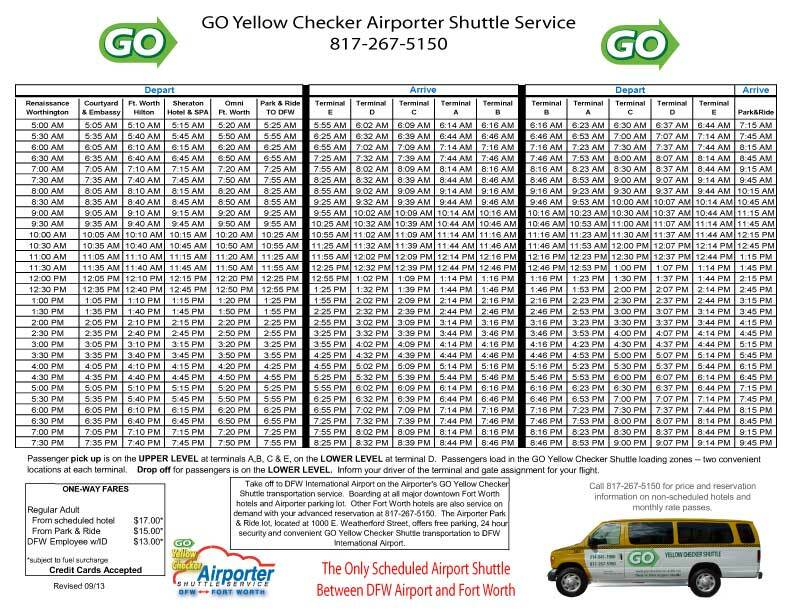 GO Yellow Checker Shuttle offers affordable, reliable and safe ground transportation services throughout the North Texas Area. Our airport shuttles provide transfers to and from DFW and Dallas Airports 24 / 7 days a week, 365 days a year. Strategic Event Planning delivered by our experienced consultants. We assess your event, determine your individual requirements, and develop a plan that covers the entire gamut of ground transportation services from planning and coordination through marketing, signage and onsite management to VIP guest services and postevent reporting. Sign-up now to receive Go Yellow Checker Shuttle Newsletters. Get monthly updates on services, free offers, coupons and discounts, plus insights from experts in transportation!